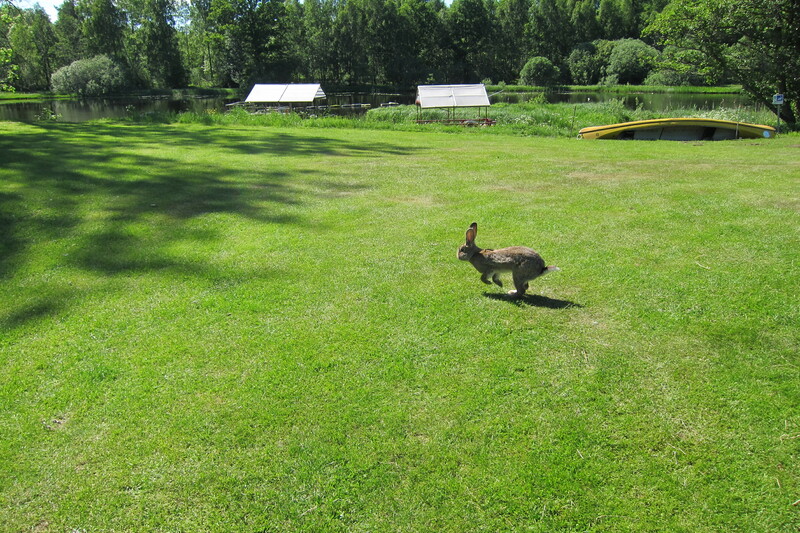 Living in Almhult, Sweden is quite pleasant, especially with little kids. However, there tends not to be a whole lot to do in the small town itself, so we often find ourselves seeking out nearby attractions to enjoy life in Sweden with little kids. Below are three pretty quick and easy destinations that can help pass these beautiful spring days. Linnes’ Rashult: Carl von Linnaeus is a bit of legend around here; in fact, Almhult has a statue of him in the town square. For those that don’t know, Carl Linnaeus is the guy who we must credit for giving us the Kingdom, Phylum, Class, Order, Family, Genus, Species classification for all living things. (At least I am pretty sure that is what he did.) Either way, he was born just about a 15min drive north of Almhult on the Vaxjovagen. 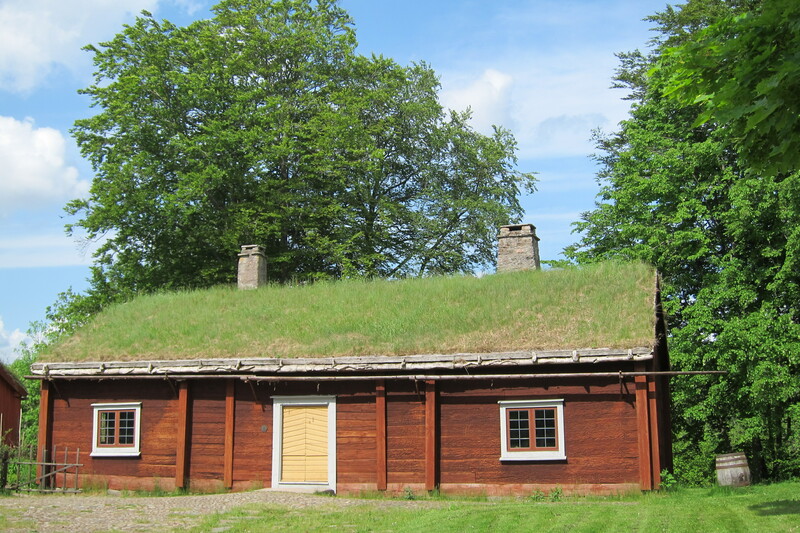 His birthplace is now a “tentative” UNESCO World Heritage Site that preserves a classic 18th century farm and environs. The place is gorgeous, especially in spring and merits a leisurely visit. The grounds offer three different walking paths that take you through farm, meadows, lake, and forest environments. There are a few animals on the premises and a superb cafe that is all the rage. The walks are not too difficult, K (who is now approaching 4yrs) was able to complete the 2.2km walk without any difficulties. Denningarums Gard: Just south of Osby (home of Brio Toys and their kid friendly Toy Museum) you can find the riverside farm of Denningarums in the town of Ostana. While small, it has its charms; from pigs, chickens, and rabbits to lamas and emus. There were two large trampolines, a play-place, and a sandpit. All very nice, but didn’t do much to really hook the adults, though the kids enjoyed it…at least when they were not be yelled at to stop chasing the ducks, the chickens, or the rabbits. But, Denningarums also offers canoe and raft rentals to take out on the Helge A river. The rafts are equipped with table and chairs and the one I saw being launched had a grill heating up for some on the river BBQing. They also sell eco-friendly jams, syrups, drinks, and spices on top of the cafe on site. Kronoberg Slott: Just north of Vaxjo, this destination may be the furthest from Almhult, but it was also one of the most enjoyable. 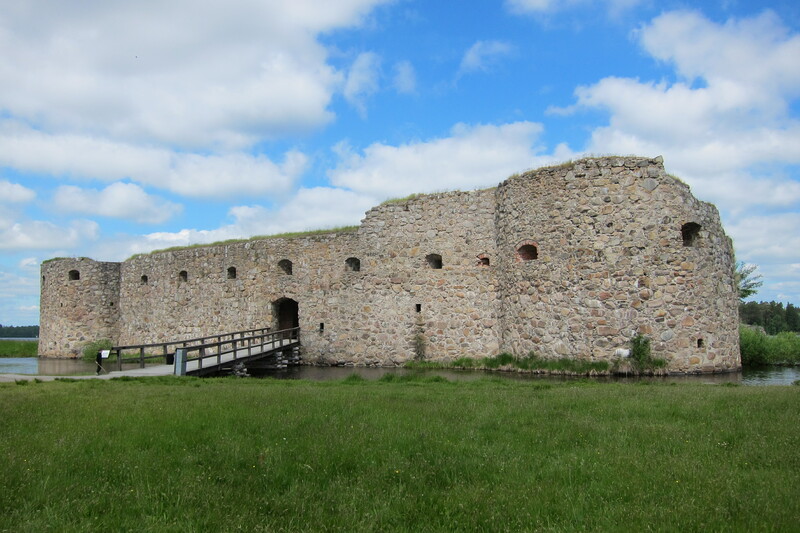 While seemingly having been a relatively important fortress in the Nordic wars of the late 1600s, the castle now is in ruins; hence why K dubbed is the “Broken Castle”. Though the castle may be broken, the charm of the place is magical. There is something about ruins that simply frees the mind of what is there in front of you, so that your imagination can launch its own complete vision of what once was. K ran all through the ruins brandishing his sword (stick) and defending the castle from the knights depicted on the information boards. K found a fellow knight (a young Swedish boy of 5yrs) and together they raced through the broken down halls, scaled the crumbling walls, and watched out for those sneak Danes from vine-shrouded hallows. Set on a tiny island off the southern shore of Lake Helgasjon, the surrounding environs are stunning. With ducks swimming around the island and geese flying in for a rest, the natural beauty of the place perfectly compliments the noble decay of the fortress itself. There is a very cute cafe serving ice-cream, coffee, pastries, and waffles as well as the steamboat ‘Thor’ for tours of the lake. Vegetable grown right on premises! Love these pictures!!! 😉 I must come visit Sweden after the PGCEi! You would definitely enjoy it! For IKEA alone its worth it. I also really like your bog, and am impressed with the bilingualism. hi am shiva am doing a projekt on putting up solar panels on the restuarant in linnea rashult..
seems like u have been there if you dont mind can i have pictures of the restuarant with its roofs visible.. do u have any? if so kindly send me. I am a big fan of solar panels, but unfortunately I do not have any photos of the restaurant’s roof. Good luck with the project! Next Next post: Blogging: It’s been a while.